During an election meeting in Chevella constituency, some people were disvussing about the candidate – “He is the richest candidate in the state. He doesn’t need power to earn money,” says a farm labour Shivamma who has come to listen to Congress’ Konda Vishweshwar Reddy at Tangedapally mandal in Chevella Lok Sabha constituency. As groups of people gather at a venue in the summer heat, Reddy, who has assets worth Rs 223 crore, steps out of his Innova car in his simple attire and casual footwear. An engineer-turned-entrepreneur, Reddy — son-in-law of C Pratap Reddy who is the founder-chairman of the Apollo group of Hospitals — arrives at the venue to address a gathering of 150 people and the moment a Congress worker picks up a mike to start the programme, the power goes off. “The power cuts were there, but this has been happening at Reddy’s campaign venues over the last few days,” claims Shakeel Ahmed, ex-sarpanch of Pudur mandal. 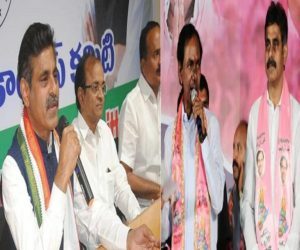 He accuses the TRS government of creating hurdles for Reddy who was elected on TRS ticket in 2014 but quit the party and is contesting against TRS’ G Ranjith Reddy, a non-local candidate. Vishweshwar Reddy is the grandson of former Andhra Deputy chief minister Konda Venkata Ranga Reddy. The district of Ranga Reddy, formerly known as Hyderabad Rural, was renamed after this Congress leader. After a few minutes, the programme finally starts and the crowd cheers as Vishweshwar Reddy stands up to speak. “I did not switch party, I am where I was earlier. But the Telangana Rashtra Samithi (TRS) has changed its ideology. “Congress works for the poor and Sonia Gandhi (UPA chairperson) gave us Telangana,” he said appealing the gathering to vote for the hand symbol. As he ends his speech, he passes through the crowd giving high-fives and heads to the next stop to address another public meeting. “A person like him does not need to bribe to get votes,” quips Shivamma, as she prepares to leave. Vishweshwar Reddy’s convoy passes through the village and he starts talking about the “rise” of caste politics in Telangana, hitting out at TDP chief Chandrababu Naidu and TRS supremo and Telangana Chief Minister K Chandrashekar Rao. “This is destroying the fabric of Telangana and economy of the state,” he says and targets KCR’s scheme for shepherd community, where the TRS founder promised to give sheep at subsidised rates. ALSO READ: In Telangana, KTR Is Reportedly Upset With KCR's Stubborn Attitude Over Election Management! “You cannot manufacture sheep. So, he (KCR) brought them from neighbouring states and the taste is different,” he says and claims that goats instead of sheep were distributed due to shortfall. 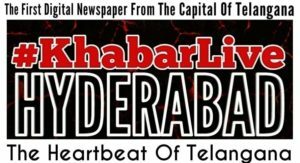 Likewise KCR has running schemes for every minor community like barber and washermen under the backward community, he says and claims such schemes may not yield results in Lok Sabha poll. “Telangana was not relatively a caste based political system unlike erstwhile Andhra Pradesh and Uttar Pradesh. “Typically, a Reddy fights another Reddy. A Reddy never fights a Goud. I used to think the most astute caste politician India ever produced was Telugu Desam Party (TDP) Chief Chandrababu Naidu. Now, KCR has surpassed Naidu in doing caste politics,” he alleges. Asked about the ‘non-BJP, non-Congress front’ proposed by the TRS, he says, “When I was in TRS, it was an embarrassing joke, now it is a funny joke. It will never be a reality,” and rushed to address the next gathering waiting for him. The “fight is between the Congress and the TRS” with former having rural vote bank in four assembly segments out of seven in this constituency, says a college graduate Srinivas Reddy while discussing the poll scene in the constituency at a tea shop at Parg. ALSO READ: Why 'KCR Owned Media' 'Banned' Harish Rao's News Coverage In Telangana? 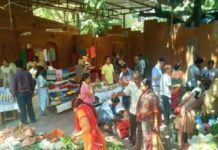 Some distance away, Eshwar Reddy, a senior citizen, who is buying mangoes from a local haat, is far more vocal about his views. 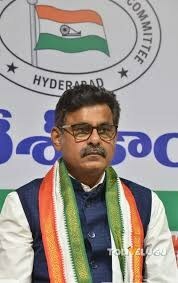 “The Congress has an edge here because of Vishweshwar Reddy who is a local person with a clean image and his family has strong political background,” he said. Whereas TRS and BJP are depending on urban votes to win in three assembly segments. 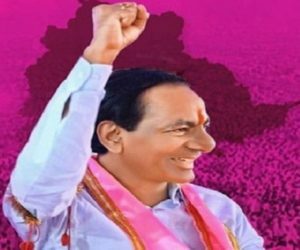 “TRS candidate Ranjith Reddy is an outsider from Karimnagar, but what goes in his favour is the advantage of being from the ruling party in the state having local MLAs and strong local cadres,” he added. 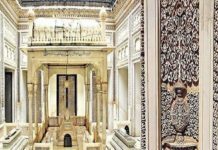 The BJP has fielded state general secretary and real estate businessman B Janardhan Reddy. For fruit seller Venkatesh, election is all about “money power” and it is hard to believe a wealthy candidate will not “buy votes”. 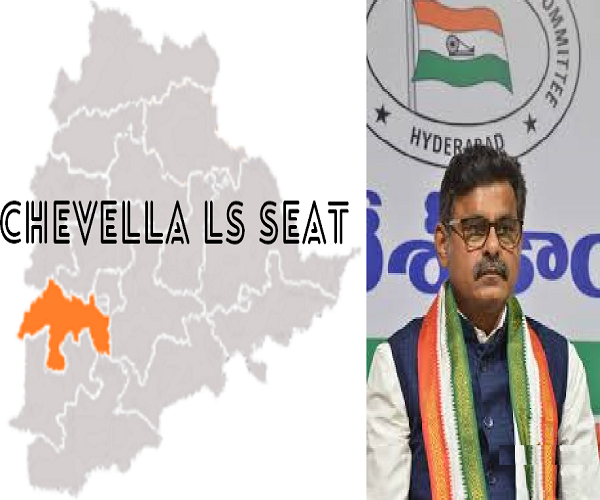 The Chevella Lok Sabha constituency in KV Ranga Reddy district is considered to be the second largest parliamentary constituency in the state after Malkajgiri. Out of seven assembly segments in the constituency, five are held by the TRS and two by the Congress.